Rooms from $60.80 per night. Description This Lawrenceville, Georgia hotel has free internet access, non-smoking guest rooms and free breakfast. This hotel is also pet friendly. 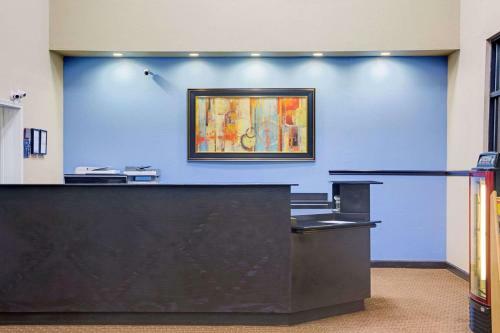 Offering free internet free breakfast and impressively low rates the pet-friendly Days Inn Lawrenceville is across from Gwinnett Medical Center and 10 minutes off I-85. Pets are welcome for a fee and non-smoking rooms are available at this low-rise property where Wi-Fi access and expanded cable TV GÇö including HBO ESPN 1 and 2 and Disney GÇö keep guests of all ages and interests busy. The 56 rooms also include mini-fridges and microwaves if hunger strikes while surfing cable channels or the web. Complimentary copies of USA Today are available for those who prefer their news in print; take one into the on-site fitness room and kill two birds with one stone. Other amenities include a free continental breakfast and copy and fax services. Parking is free. 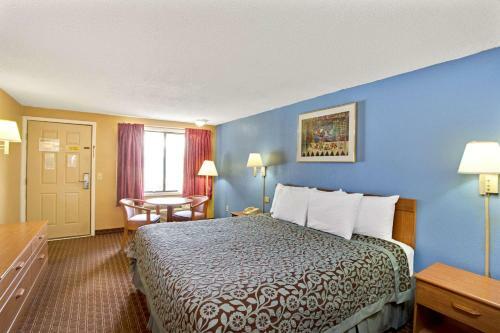 The hotel is on Highway 120 halfway between Atlanta and Athens and five miles from the Gwinnett Arena and Civic Center. Guests can enjoy one-of-a-kind shops restaurants and theaters in the historic city of Lawrenceville two miles away or drive four miles to Discover Mills Mall housing an outlet mall food court skate park bowling alley and more. Favorite outdoor destinations include Lake Lanier and Stone Mountain each about 35 minutes away. Downtown Atlanta attractions like the Georgia Dome are about a 40-minute drive. Hartsfield-Jackson Atlanta International Airport is 39 miles from the hotel. 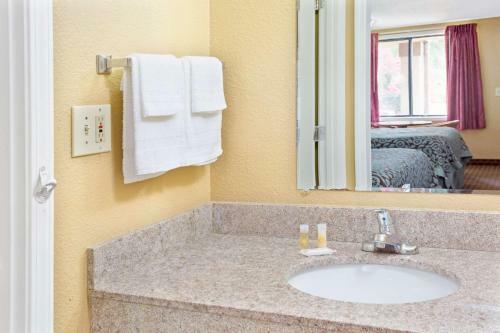 Add Days Inn By Wyndham Lawrenceville to your free online travel itinerary.